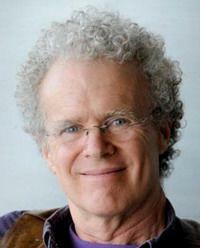 Erik Olin Wright, a renowned UW-Madison sociologist known internationally for his writings on inequality and “real utopias” published in his 42-year campus career, died Wednesday at Froedtert Hospital in Milwaukee. He was 71. Wright stopped teaching soon after learning he had acute myeloid leukemia last spring but was optimistic about his chance of surviving until recent weeks. He continued his research into December and a graduate student said Wright had discussed the possibility of offering a seminar in the spring semester. “It’s a massive loss,” UW-Madison sociology department chairman James Raymo said of Wright’s death. Raymo described Wright as one of the department’s last longtime luminaries who together established the department as one of the best places in the country to study sociology. Wright played a major role in the department’s culture of collegiality. Wright arrived on UW-Madison’s campus in 1976 and spent his entire career in Madison, despite several offers from other universities, including one from the University of California-Berkeley where he earned his Ph.D.
Raised in Lawrence, Kansas, Wright was a Midwestern man, according to friend and UW-Madison philosophy professor Henry Brighouse. Brighouse met Wright in 1992 and the two formed a close friendship. Their families shared Thanksgivings together. Wright’s death prompted dozens of colleagues, students and longtime admirers of his work to share stories of his life on Twitter with the hashtag #EOWtaughtme. Graduate students shared stories of being inspired by Wright’s work and kindness. Griffin McCarthy Bur, currently a student in UW-Madison’s sociology doctoral program, said he reached out to Wright while considering which graduate schools to apply to. He said Wright wrote back a warm and detailed note. The two struck up a correspondence in winter 2015 and McCarthy Bur credits Wright for his enrolling at UW-Madison in fall 2016. Wright was well-liked among undergraduate students, even those who took a single introductory course, and more willing than most academics to address the world’s wrongs and what could be changed, McCarthy Bur said. UW-Madison professor Joel Rogers collaborated with Wright on a book and other research. Their friendship dates back to 1988, he said, when Wright suggested the two take a walk together every Sunday morning when they were both in town. Since Wright’s diagnosis, Rogers replaced his walks with drives to Froedtert, so he could still spend Sundays by his friend’s side. Wright started writing on CaringBridge, a publishing platform for people with terminal illnesses, in April. His last post, a tribute to his three grandchildren titled “The Art of Goofiness” was published Monday, two days before his death. Wright published his second-to-last post last week in an essay reflecting on his life and also accepting of his death.